If Mi 9 is indeed powered with 48 Megapixels, then it can be a new high for Xiaomi. The mysterious Xiaomi smartphone is being rumored to the upcoming Mi 9, which has already been leaked a couple of times. The new teaser image confirms a 48-megapixel camera. 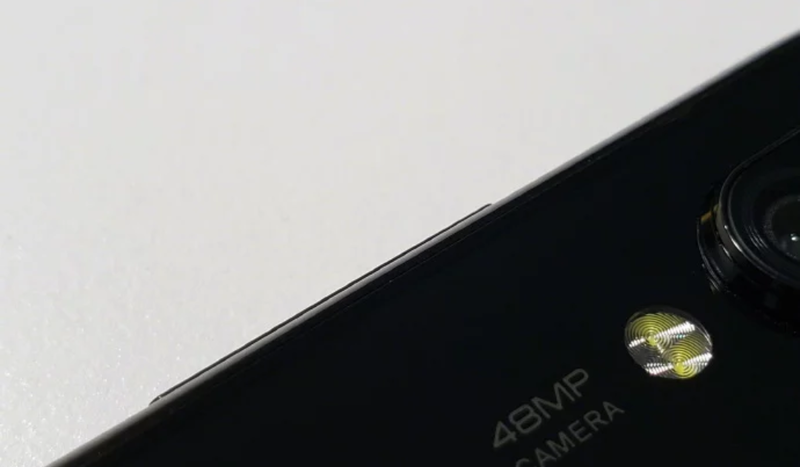 The previous Mi 9 leak showed a 48-megapixel rear lens as well. There are the dual-tone LED and the volume buttons on the left edge of the device. So, both the leaks hint at Xiaomi Mi 9. The 48-megapixel lens is being tipped to be the Sony IMX 586 48-megapixel sensor. The Sony IMX 586 is the world’s first ultra-compact sensor offering a pixel size of 0.8 um. The smartphone is expected to feature a 6.4-inch AMOLED display along with an in-display fingerprint reader. Mi 9 is being rumored to feature a small circular notch on top backed by three cameras at the back. The Mi 9 tri-rear camera setup will comprise of a primary 48-megapixel sensor, 13-megapixel wide angle sensor, and a 16-megapixel depth sensor. The smartphone will come in three RAM variants of 6GB, 8GB and 10GB. Snapdragon 855 means the smartphone will come with 5G connectivity. Finally, the Mi 9 will have a 3,700mAh battery supporting the whole package backed by wireless charging and Quick Charge 5.0 support. The Xiaomi Mi 9 is expected to launch in January. The teaser hints at a launch in early 2019 in China. The Xiaomi Mi 9 India launch is expected later, maybe during the second quarter. Xiaomi Mi 9 India launch is still uncertain, as the company is still yet to bring its last flagship Mi 8, to India. So, if the device launches in the country, it may become one of the first few smartphones in India to use a Snapdragon 855 chipset. In all, the Xiaomi Mi 9 launch in India is going to make a lot of hype. The Xiaomi Mi 9 India price is expected to be around the same as OnePlus 6T. The smartphone may cost around Rs 40,000 in the country. There will be three variants available, where the Xiaomi Mi 9 India price of the base variant may stand at under 35,000 rupees. The Xiaomi Mi 9 price in India will also depend on the foreign exchange. The falling rupee may affect the Xiaomi Mi 9 price in India. The China and India prices may differ.